Today, most of the contemporary plastics are designed out of organic chemicals. 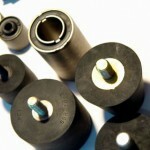 Lusida Rubber Products, Inc. is one of the global suppliers of plastics since it has wide range of physical properties. There is a rapid increase in the growth of formulations. For the past many years, products which were made of plastic were regarded as a superior quality product. One of the major highlights with respect to products designed out plastic is that it can be easily shaped, molded and laminated in any desired form. It can be used in diverse applications since it is impervious to corrosion; however there are chances of degradation when exposed to sunlight. Take for example, PVC plastic. There are numerous disposable issues associated with plastics owing to its durability. Accumulation of plastics is not suited for landfill as it would emit poisonous gases directly to the atmosphere. Most of the supermarkets supply one time grocery bags which often ends up in a trash bag exuding dust. The presence of plastic is visible even in television, sound system, vacuum cleaner and cell phone. The plastic foam is also present in furniture items. Some of the other examples include plastic chairs, bar stool seats, non-cooking pans and plastic countertops. Most of the food items preserved in the refrigerator is tightly wrapped in plastics like yogurt, cheese, water and milk. Today, there are plastics such as pressurized soda bottles which prevent the emission of gases. There are multiple companies who deliver rubber products and plastics in Pasadena, California. Out of which Lusida Rubber is the only reliable one which supplies top quality products at an affordable rate. The customers may visit the official website of the company.